Help Sam zijn evenwicht te vinden! Hij kan met de juiste balans op zijn neus, tenen en hoofd staan. Maak zo je eigen circusact! Zowel voor kinderen als volwassenen. Bevordert het waarnemen, oplossen, fijne motoriek en samen spelen. Meet Circus Sam, the Balancing Man! 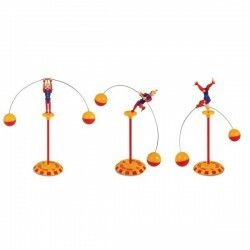 Introduced in 1948, Circus Sam was the first articulated balancing toy. 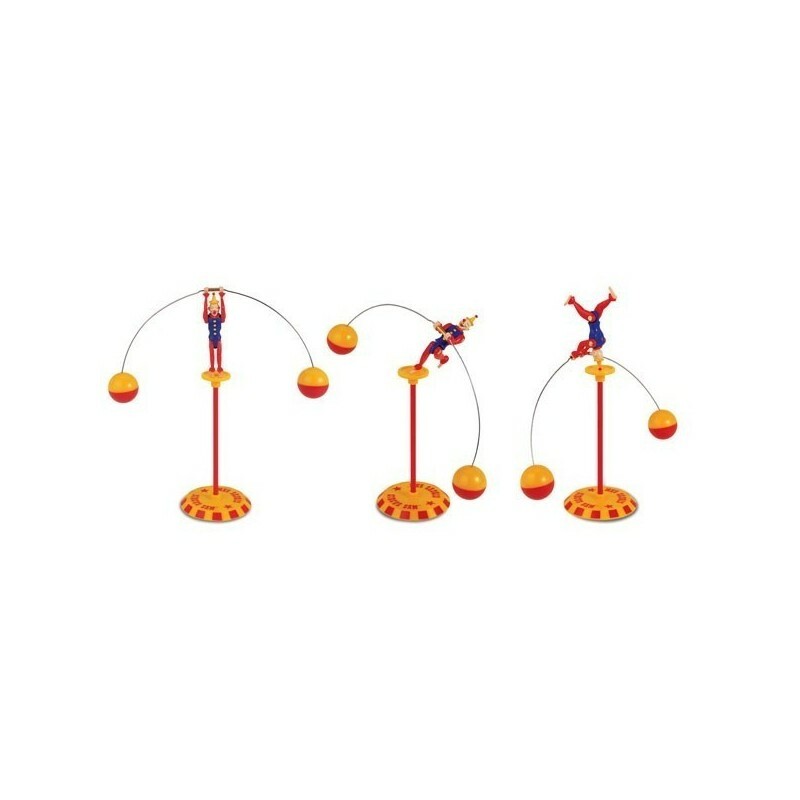 Unlike other balancing toys, Sam's arms, legs, and balancing pole all move, allowing him to balance in all sorts of gravity-defying positions. He can balance on his nose, toes, and head, or if you prefer, he can lean way out instead. Seems like everyone wants to get into the act as they try to see who can come up with the most outrageous positions for Sam to balance in. Once he is in position, give him a little turn and he will bob up and down as he goes round and round. We include everything you need to start your own circus act, so.... "On with the show!" Circus Sam appeals to both children and adults and he makes a great desktop accessory for the student or busy executive in your life. A detailed instruction booklet is included.